Have employees who need larger safety glasses to fit over their prescription lenses? This is the choice for you. 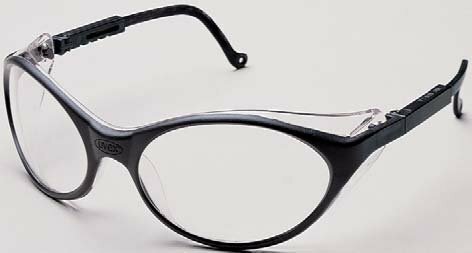 The UVEX Astro OTG glass boasts a 145mm wide, single-piece, polycarbonate lens that adjusts to three positions and slips over most prescription glasses with ease. 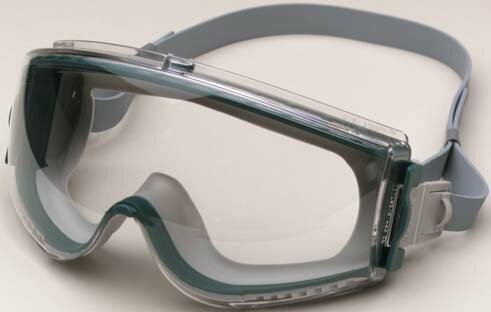 Molded-in sideshields and browguard add extra protection above and around eyes. Temples adjust to four different lengths and feature the UVEX-patented Duoflex feature for improved comfort behind the ears. Replacement lenses are available through your service representative. 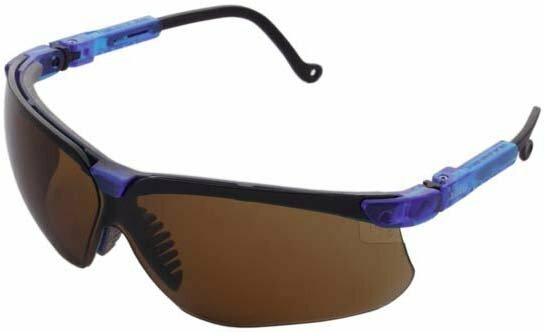 Crews shakes up the workplace with new Genesis safety glasses! Wraparound design. FREE clip-on breakaway cord with each pair. Replacement lenses available. 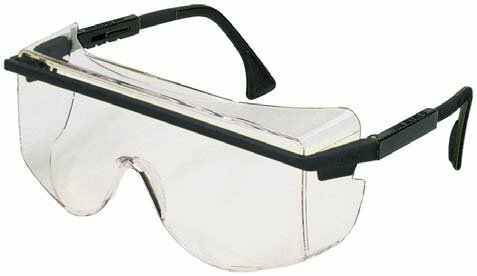 These premium Astrospec safety glasses fit comfortably on most employees, with scratch-resistant polycarbonate lenses and protective side shields. 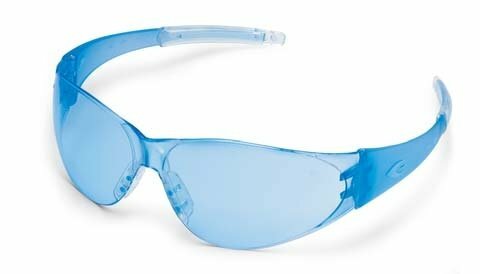 Lightweight, comfortable, economical MCR safety glasses with near-total orbital seal & flexible gel frame to fit most workers. 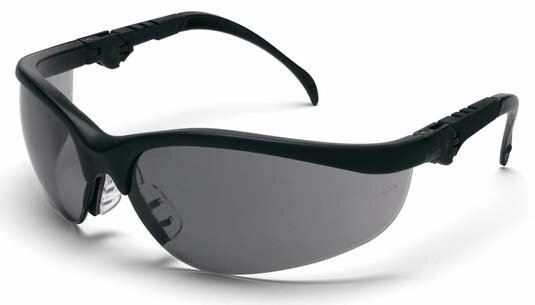 A stylish & versatile choice for any workplace, these sporty UVEX bandit safety glasses feature polycarbonate wraparound frames and side protection.